When Prime Minister Justin Trudeau announced last November that his government was approving Kinder Morgan’s Trans Mountain pipeline expansion, it was bound to be a bombshell. The pipe would send hundreds of thousands of barrels of oil sands bitumen from Edmonton to the port of Vancouver each day – this at a moment when oil sands production and the pipelines that move it have become the proxy for a debate about climate change and the fossil fuel industries not just across Canada but worldwide. And the announcement came on the back end of the single most energetic year for climate policy in the country’s history. Trudeau had recommitted Canada to the UN’s international climate action process in Paris, brokered a deal with all 12 provinces and territories to put a price on carbon, and introduced a nationwide phaseout plan for coal-fired power. After this, he hands the oil sands industry free rein to add another 600,000 barrels per day to the export of its already massive carbon footprint? Partisans on either side of the narrow Liberal centre on the issue immediately broadcast their outrage. Left-wing critics and environmentalists labelled the Trans Mountain approval a betrayal of Trudeau’s Paris promises and a negation of any real action his government had taken – or ever would take – on climate change. Condemnations and cries of confusion rained in from outside Canada as well, as the American and European climate advocates who’d fallen in love with Trudeau’s dynamic Paris leadership wondered how he could have strayed from the path so far and so quickly. Political opponents on the right and in some sectors of the oil and gas business, for their part, accused Trudeau of shallow political theatre, posing as a friend of the industry to win a few Red Tory votes by pretending to put his weight behind a project his environmentalist allies would surely block. And he did so while overruling the National Energy Board on another pipeline, Northern Gateway – a move without precedent, even if it applied to a project few still believed was viable. Who was the real Trudeau? Was he a climate crusader or an industry shill? Which side was he on? The answer is both, or perhaps neither. Trudeau’s Trans Mountain approval – and the political calculus behind it – was a rejection of the idea that he or any other Canadian must choose from two diametrically opposed sides. It was an embrace of the ambiguity of Canada’s relationship with its extraordinary natural bounty, its longstanding dual role as both a ravenous natural resource economy and a proud environmental steward. The pipeline approval, in the Trudeau government’s estimation, was a necessary trade for the broad support it needed to move forward on climate change on other fronts. Trudeau was, if nothing else, thoroughly Canadian in his decision. The paradox of these custodial and exploitative approaches to the environment is as old as Canada. The voyageurs, middlemen in the fur trade upon which colonial Canada’s economy was first built, were both skilled wilderness explorers and harvesters of animal pelts. Cod fishermen had to intimately understand the sea and its raw, brutal power in order to pull fish from it by the boatload. Loggers on the Ottawa River or in the British Columbia wilderness, western settlers living off of and clearing prairie land to prepare it for farming, gold prospectors in the Klondike, oil sands pioneers punching holes in the boreal forest – all of them became intimate with Canadian nature even as they transformed it from ecology to commodity. 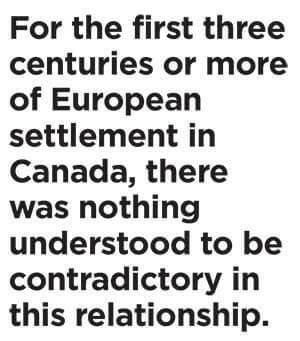 For the first three centuries or more of European settlement in Canada, there was nothing understood to be contradictory in this relationship. The idea of nature as a storehouse to feed human needs and treasure trove to feed human ambitions was a pillar of western civilization. 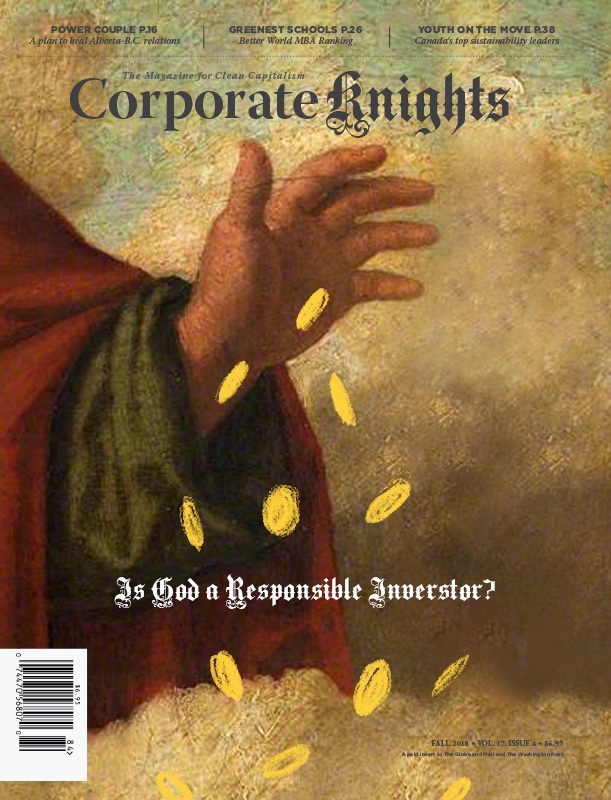 If not for fur and fish and logs, gold and wheat and nickel and uranium and oil – if not for commodities, why would anyone have established a colony or founded a nation here? Even Canada’s first national parks – beginning with Banff, established in 1885 – reflected this dual role. It was understood by the government of the day that parkland was being set aside both for its aesthetic and ecological merits and for its natural resource value. Until the 1920s, the shores of Lake Minnewanka in Banff National Park were home to a thriving coal-mining camp. Only with the National Parks Act of 1930 did resource development start to be restricted in Canada’s national parks. As a collective ecological consciousness rose and environmentalism emerged throughout the industrialized West in the years after the Second World War, Canada found a tenuous but manageable balance between its resource development economy and its increasingly stewardship-minded civil society. Guided by a series of broadly liberal governments and managed by a professional, evidence-driven bureaucracy, Canada’s resource economy girded itself with environmental assessments and regulations understood to be as smart and stringent as any in the world. 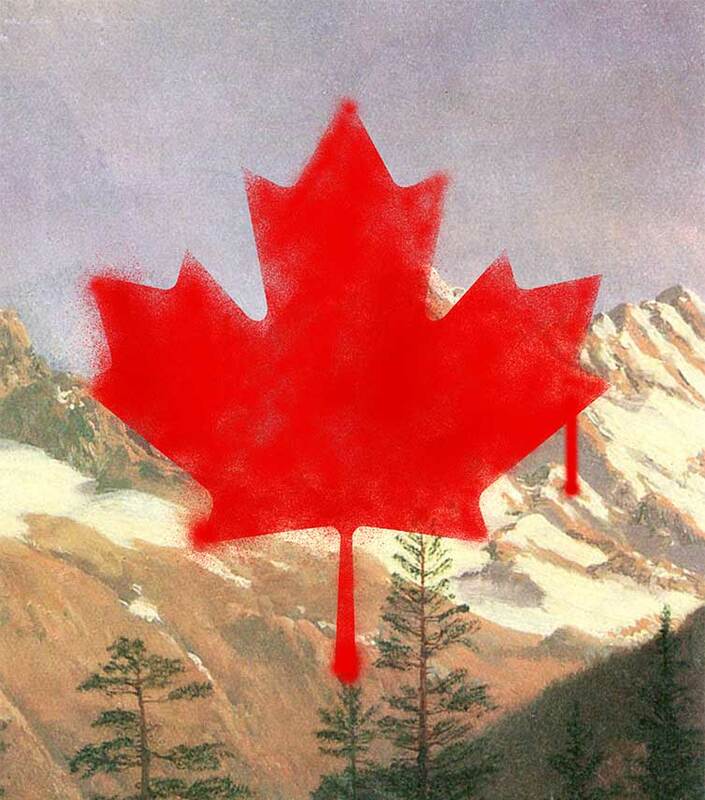 What’s more, Canada came to be seen as a leader in the emerging political art of reining in an industrial economy’s environmental oversights and excesses. Research conducted in the 1970s and 1980s at a small but globally influential field laboratory called the Experimental Lakes Area, operated by the federal government in northern Ontario, drove international initiatives to reduce water pollution from phosphates and the air pollution causing acid rain. When scientists discovered a huge and growing hole in the earth’s ozone layer, Canadian researchers and bureaucrats were so central to the response that the ensuing global ban in the manufacture of ozone-depleting chemicals would be named the Montreal Protocol. And in civil society, the global environmental movement traces its origins in significant part to a small gang of Vancouver activists, whose “Don’t Make a Wave” campaign against nuclear weapons tests in the Pacific Ocean morphed into Greenpeace, one of the first environmental groups with truly worldwide reach. Canada’s resource economy, of course, remained far from benevolent in its environmental impacts. Overfishing off the Atlantic coast, in part owing to the federal government’s willful ignorance of its own best science, would lead to the catastrophic collapse of the cod fishery. Nickel mining turned the landscape north of Sudbury, Ontario, into a barren wasteland so similar to the surface of the moon that NASA used it for field training. Clearcut logging of old-growth forests on the west coast left a global stain on the nation’s reputation. And Canada was home to the same smoggy mix of coal plants and steel foundries and aluminum smelters as any advanced industrial economy. Still, in the main, Canadians thought of themselves as the good guys on the environmental front, striving often as not for a respectable middle ground – a prosperity built on the nation’s extraordinary natural bounty that took the necessary steps not to exhaust it in the process. 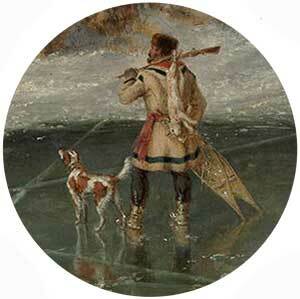 We were voyageurs in canoes making an honest living, not Hudson’s Bay factors plundering the wilderness. We were loggers dancing lightly atop felled trees on the river, just like in the National Film Board cartoon, not pulp mill operators dumping effluent into it. Beaver dams, the echoing call of a loon, a game of shinny on a frozen pond or a cottage on a lake – our symbols and myths placed us unobtrusively in the foreground of a tranquil wilderness, if we appeared in the scene at all. “A Canadian is someone who knows how to make love in a canoe,” Canadian author Pierre Berton once said, and we like to nod along even though more than three-quarters of us live in urban environments clustered around industrial cities built on the proceeds of natural resource extraction and export. We are a population still not far removed from the “hewers of wood and drawers of water” whom the Canadian historian Harold Innis lamented in his 1930 history of the fur trade. “We live to survive our paradoxes,” the latter-day Canadian mythmaker Gord Downie sings, hinting at the internal contradictions we’ve carried along with us in our figurative canoes for centuries. When climate change began to emerge as a substantial environmental issue in the late 1980s, Canada’s initial response was to extend its expertise in environmental research and stewardship to the newest challenge of the day. The first major international meeting of climate scientists was hosted by the Mulroney government in Toronto in 1988, and it led directly to the Rio Summit in 1992 and from there to the Kyoto Protocol, a solution surely as noble and final as the Montreal Protocol. Climate change, however, was not the product of a refrigerant manufactured by a handful of chemical companies. 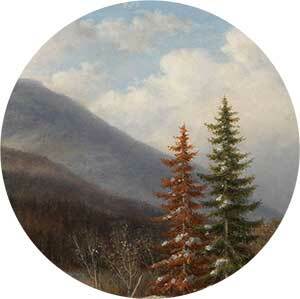 It was pervasive, universal and ongoing, emergent everywhere and visible nowhere, at least at first. It was caused – was being caused, day by greenhouse-gas-emitting day – by almost every single thing citizens of an industrial economy like Canada did from the moment they left home in the morning to drive to work until they settled back in at night, warm in homes heated by natural gas and lit by lamps often powered by coal. And Canada, it turned out, was one of a handful of the most egregious contributors to the great emissions bonfire, our carbon footprints swelled by homes in need of heat, great distances in need of crossing and fossil fuels in search of profit. Our national footprint was among the half dozen largest on earth in per-capita terms. Climate change has called into question the very foundations of Canada’s economy, spilled sand in the prosperous lubricant of its placid civil society, smeared and distorted the symbolic good guy image in the national mirror. In response, Canada has grandstanded, backtracked, equivocated and dissembled. The federal government of the 1990s under the Liberals signed on to the Kyoto treaty but did nothing to fulfill its demands. Under Stephen Harper’s Conservatives, one of the world’s most spitefully reactionary governments on the climate change file, Canada became a global poster child for the cause of the crisis. And now, under Justin Trudeau, it attempts to stare itself full in the face of climate reality’s mirror for the first time. There remains an impressive side to that image, tarnished though it might be. Trudeau’s Liberals have worked with provincial governments across the country to usher in a nationwide end to coal-fired electricity and a national carbon price, finishing projects begun by the governments of Ontario and British Columbia during the reactionary years in Ottawa. These are major steps, as bold and unprecedented in their leadership as the Montreal Protocol and the acid rain treaty of yore, placing Canada among the front ranks in climate change action. But then there is the lingering legacy of all those resource-driven years of prosperity, which has come to be embodied by the oil sands industry in northern Alberta, and especially in the pipelines that carry the bitumen produced there to ports and international markets. 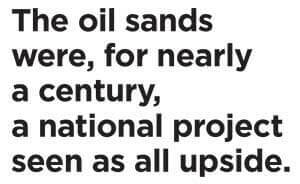 The oil sands were, for nearly a century, a national project seen as all upside. Here was the world’s third largest oil reserve, and a technological challenge in turning it into a commodity that fired the Canadian engineer’s imagination and employed its skilled workers the same way national railroads or the forestry business once did. Researchers from both the Alberta and federal governments had been mucking around with bitumen in the boreal forest since the 1920s. Alberta’s government ushered the first oil sands mine to completion in 1967 and joined with the federal and Ontario governments to provide almost a third of the capital needed to build the second one. Well into the 1990s, even as climate summits began to make headlines, the industry enjoyed financial support and enthusiastic partnership from government and the public at large. Canada – in the broadest collective sense, in whatever way we are all one – is as fully dug in on the production of oil sands crude as it has been in any of its resource projects. As we debate our entire national commitment to climate change action through the proxy of an oil sands pipeline project or two, we should remember every one of us has had a hand in getting the bitumen into that pipe. Canada will not solve its own greenhouse gas conundrum – let alone the world’s – simply by deciding whether or not to continue to extract 2.4 million barrels of oil per day from Alberta’s oil sands, whether to increase that amount by another million or two or whether to reduce it to nothing as fast as possible. This is not the entirety of our climate change problem, nor even the majority of our emissions. It is, however, the ideological battle that might well define who we are in the climate change era. And it may well be that we remain as we have always been, prosperous and exploitive, broadly well-intentioned and guilty of egregious environmental sins.